We support all our software as standard. However sometimes you may require an extra level of assurance. Platinum level queries are given the highest level of priority. So we try even harder to ensure that you get the answers you need. Platinum level emails bypass the normal support queue. So your queries get answered faster. Platinum Support is per product and per developer. So (for example) if you purchase Platinum Support with ABCpdf then it covers you for support with ABCpdf. If you have two contracts it would cover two developers working on ABCpdf. What's more if you get to the end of the year and you feel that you've not made good use of your support package just mail us and we'll give you a full refund. How can you lose? Please note that you need to allow us time to show how helpful we can be. Refunds may only be applied for at the end of the year during the last month of the subscription. You cannot take advantage of this offer more than once. At an Enterprise Level you may have larger teams and you may need to plan for a longer period of time. Enterprise Level Platinum support covers up to ten developers for three years. 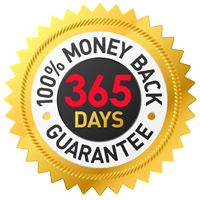 And yes it's still covered by our 365 day money back guarantee.